In many cases, data recovery software takes advantage of the fact that when files are deleted, they are not physically removed from the disk thus allowing software like Wise Data Recovery to take advantage of this inherit weakness. Though many applications falling into this category are costly and difficult to use, Wise breaks that mold and gives users a quick, easy and completely free data recovery solution. The process of recovering data is easy. You're not require to make any special configuration changes and from the get-go, you're able to quickly recover lost files. The good thing about this software is that it supports most types of hard drives and USB drives which are mounted under Windows. The results which this application display takes little time to produce, depending on the overall size and speed of the drive you are recovering files from. The system used when displaying recoverable data resembles a traffic light where green is recoverable and orange or red mean you could run into issues. Overall though, this application is both easy and fast and does an excellent job at recovering data you may have assumed was lost forever. Recover documents such as word, excel, txt etc. 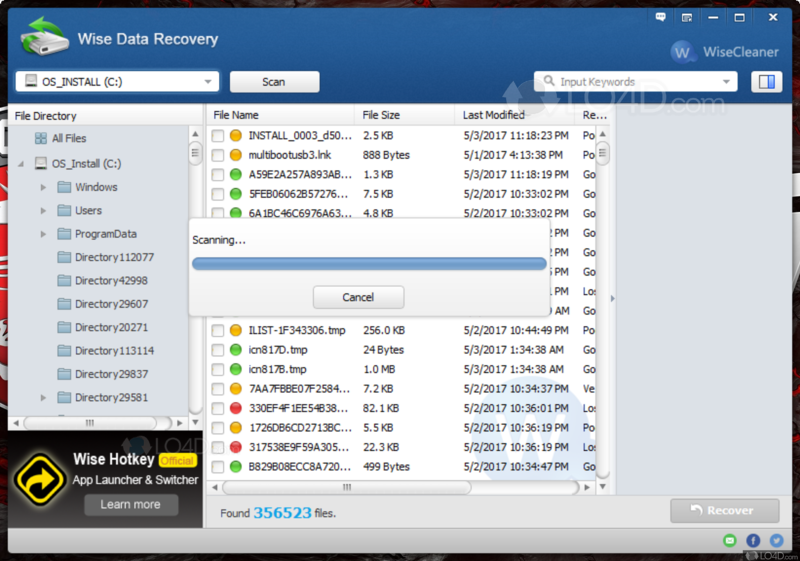 Recover data from removable drive, such as ipod, mp3 player etc. 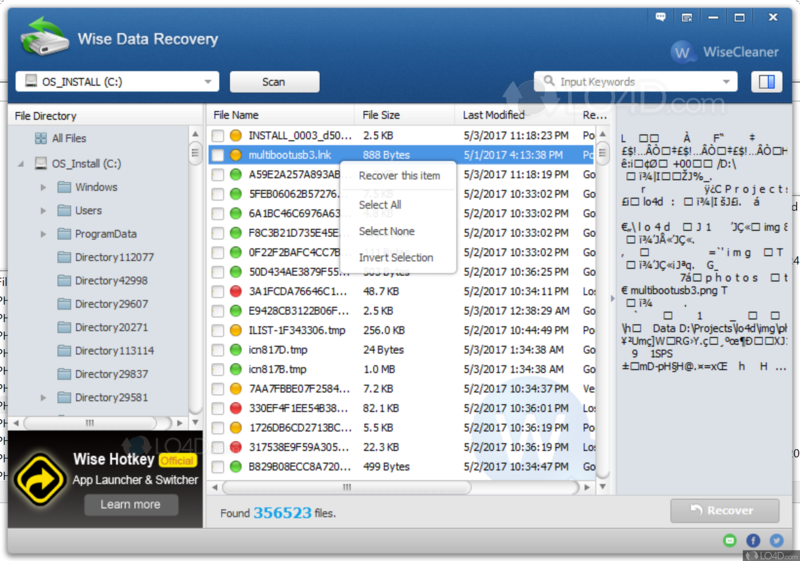 Wise Data Recovery is licensed as freeware for the Windows (32-bit and 64-bit) operating system / platform from file recovery software without restrictions. 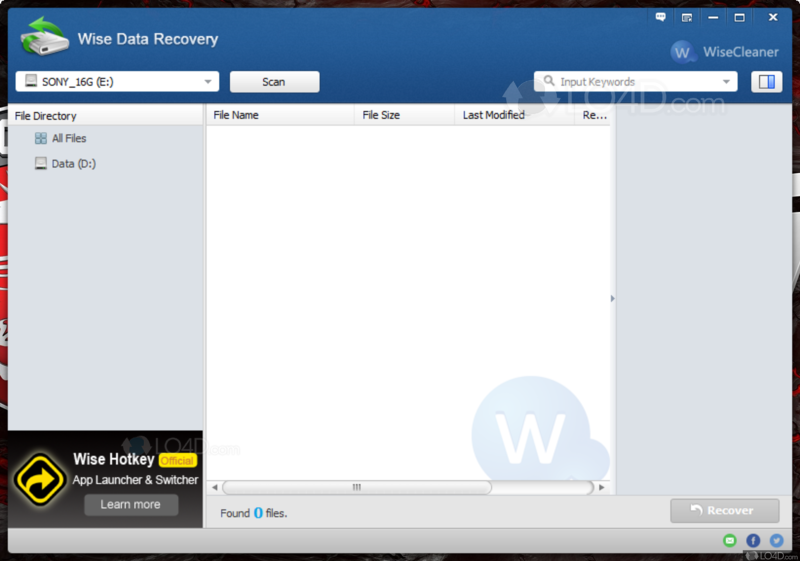 Wise Data Recovery 4.13 is available to all software users as a free download (Freeware). Compatibility with this file recovery software may vary, but will generally run fine under Microsoft Windows 10, 8, 8.1, 7, Vista and XP on either a 32-bit or 64-bit setup. 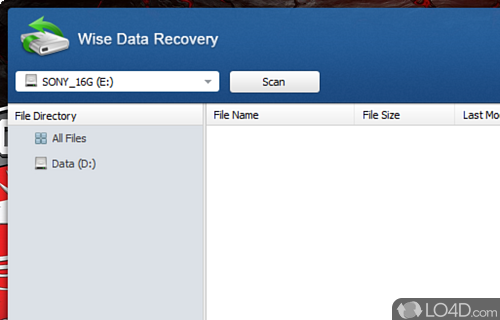 A separate x64 version of Wise Data Recovery may be available from Wisecleaner. This download is distributed as WDRSetup.exe. 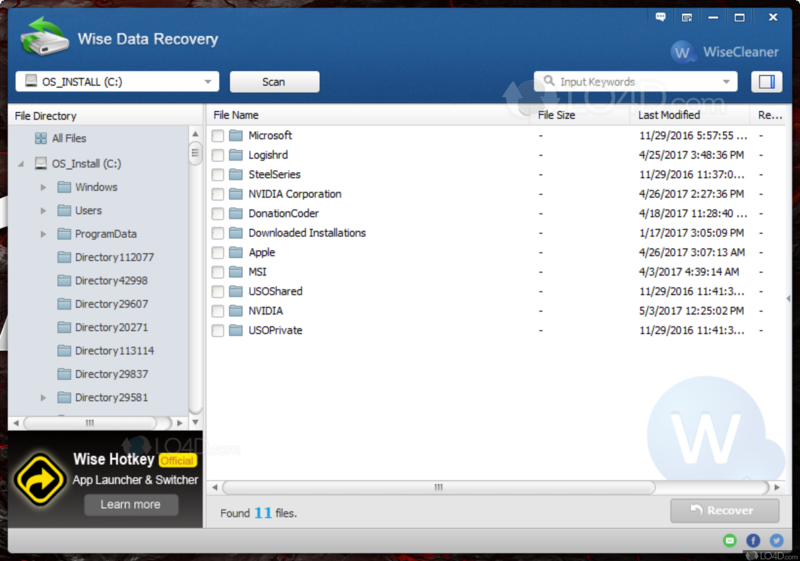 We have tested Wise Data Recovery 4.13 against malware with several different programs. We certify that this program is clean of viruses, malware and trojans.